Huawei has released the official Android Pie update for a number of their smartphones and many users already updated their phone to the latest Android version. However, after updating to the latest Android version, some users were trouble with bypassing Google Account on their phone. 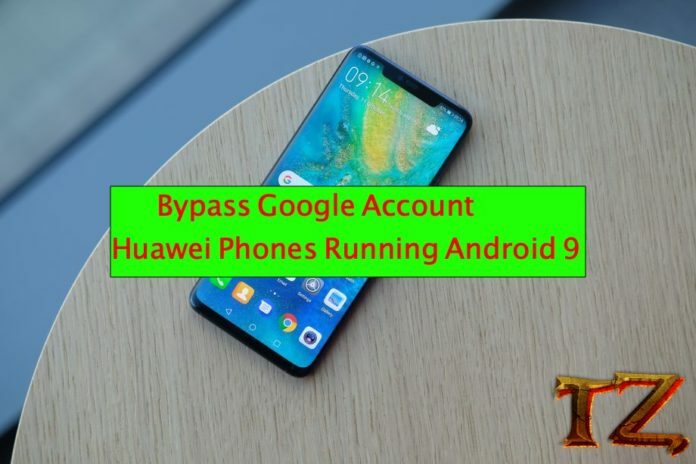 If you are one of those who is encountering the same problem, this post will show you a new solution to bypass Google account on all Huawei devices running Android Pie version. From Settings > swipe your finger from the left > Secure & Privacy > Lockscreen password and reset the lockscreen password. However, you should remember your Pin code. Return to Welcome screen and complete the setup process. For those who don’t want the old lockscreen password, just head to Settings by dialing the code above and select the first Reset line, then return to complete the setup process. This method is a little complicated, but you can use it to bypass Google account on both Android 9 & 8 versions. A SIM card has previously set up a PIN code and could connect to the internet and put it into your Huawei phone.